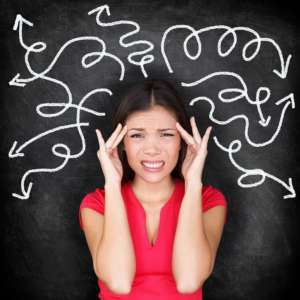 Confusion is an uncomfortable but inevitable first step when beginning to decide on a college major. I advise “undecided” students to lean into the ambiguity as they uncover their major as well as their emerging identity. Many students feel pressure as more colleges ask applicants to indicate a major or course of study in their application and then pledge allegiance to it in an essay. Choosing a major and a career track used to be reserved for students entering only certain universities; however, more U.S. public and private colleges request this proclamation in the application process. This early pressure to identify a college major occurs when students are young, inexperienced and know a lot about school, but not work. If you have selected a major in the College of Engineering for either your first or second choice major, please address the following prompt: Describe your academic and career goals in the broad field of engineering. What and/or who has influenced you either inside or outside the classroom that contributed to these goals? With the understanding that the choice of academic school you indicated is not binding, explain why you are applying to that particular school of study. (150 word limit). In addition, the headlines on sky-high tuition costs have parents more more intently focused than ever before on the “ROI” of college education. As a result, many students feel pressure, whether from their parents or the world around them, to choose a major that will secure a high-paying salary. My strong advice is to avoid the ROI trap; instead, take steps to identify a major that will help pave the way to a fulfilling life after college. The first step to finding one’s “True North” is honesty. Thousands of students masquerade as aspiring physicians, engineers or accountants, often to please or appease a parent or other people in their life. This approach creates expectations that must eventually be dismantled. Better to honestly admit, “I don’t know,” than pretend one does. Assessments, like the Birkman Advanced Report and others, can be helpful tools. Birkman, for example, powerfully unveils and affirms personal strengths, needs and interests as well as dead ends. I use the Birkman in my practice to guide students toward suitable majors that will be a springboard for their career. Informational Interviews shine light on actual jobs, the workplace, and the people in different professions. During a job-site informational interview a student interviews a person who works in an area identified by their assessment and that they’re interested in. Meeting them and visiting the actual workplace introduces students to the dynamics and different environment that may or may not suite them (machines instead of office furniture or laboratories instead of desks, and so on). Setting up several informational interviews helps students distinguish the differences that can compel someone forward or close a door on less desirable options. Following informational interviews, visiting colleges and speaking to advisors and/or professors in the major the student has identified will also fuel the momentum. If after following these steps a student still remains unsure, they can still apply to college as “undecided.” Even the most selective universities have space for well-qualified undecided, but honest students. This article, written by Dr. Dennard, was featured on Applerouth Tutoring Services’ website. You can view the article on the site here.